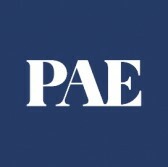 PAE's aviation and technical services business has secured a potential $23M contract to continue providing contractor instruction, maintenance, operations and training support for the U.S. Navy's cargo offload discharge and lighterage systems. The company will help train expeditionary warfare training groups in Pacific and Atlantic regions to operate powered and non-powered Improved Navy Lighterage System craft, the Department of Defense said Wednesday. Ninety percent of work will take place in Coronado, Calif., and the remaining 10 percent in Norfolk, Va. The project is scheduled to finish by December 2023. The Navy received one offer for the firm-fixed-price, indefinite-delivery and requirements contract and will obligate funds upon issuance of individual orders.